Established in 2004 by the Directors of Technology Blueprint Ltd. - a UK-based software services and infrastructure consultancy company - Techblue Software Pvt Ltd (TBS) has a proven track record for delivering quality, innovative and intuitive software, consultancy and support to companies operating throughout the UK, the USA, Europe, the Middle-East, and India. Operating from our custom-built premises located on the outskirts of Gurgaon, India, we specialize in Open Source technologies, Linux, MySQL, KVM, Asterisk/ VOIP, OpenStack, Juju Charms, JBoss Administration, CentOS support, Ubuntu Support, Server Monitoring and Mail Server and Groupware Service, with Software Development expertise in Enterprise Java, HTML5, Phonegap, Liferay and eCommerce. Techblue Software has grown from strength to strength since its inception, delivering significant value to our customers by providing cutting edge technology solutions, project management expertise, analysis of projects at business & commercial level and above all a strong code of ethics & an unwavering commitment towards customer excellence. 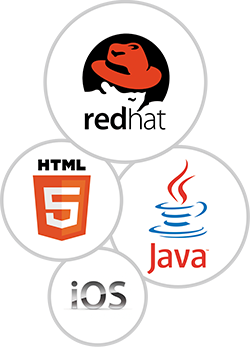 At Techblue Software we pride ourselves in our JAVA and EJB development expertise. Our software engineers assist and advise our clients on real world solutions that can be implemented using Enterprise Java applications. We have expertise in providing support and development services in HTML5, utilising Angular, and reaching mobile platforms via Phoegap. Our Liferay CMS websites put the powerful flexibility of Liferay into the hands of your website editors, freeing you from reliance on developers for all but the most high-level work. We also provide support for legacy XSLT based applications using the power of Apache Cocoon. 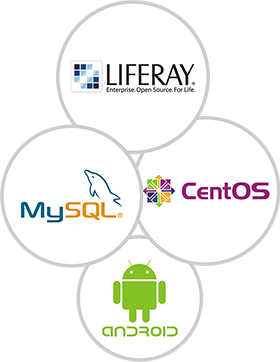 We provide an open source software support and consultancy service for all major distributions. We offer a complete range of Linux services and support solutions, from simple server installations to highly complex application based support. Got a question? Or just want to find out more about us? Use this form to send us information and we will be in touch very soon. 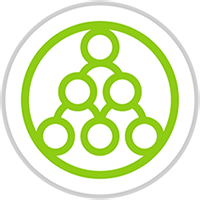 With years of experience in working with the open source community we are very well placed to offer consultancy and project management on these technologies.